So many things we love, brought together in one place. 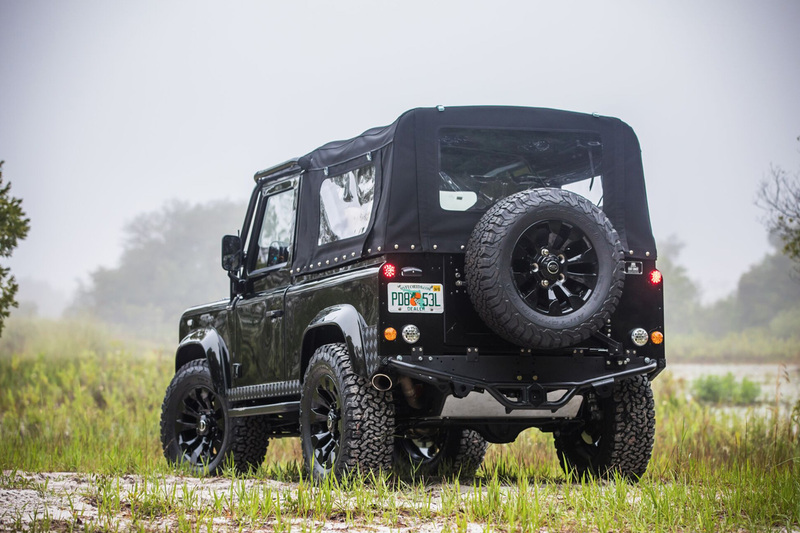 The maniacs at East Coast Defender are no stranger to building lustworthy Land Rover Defenders. 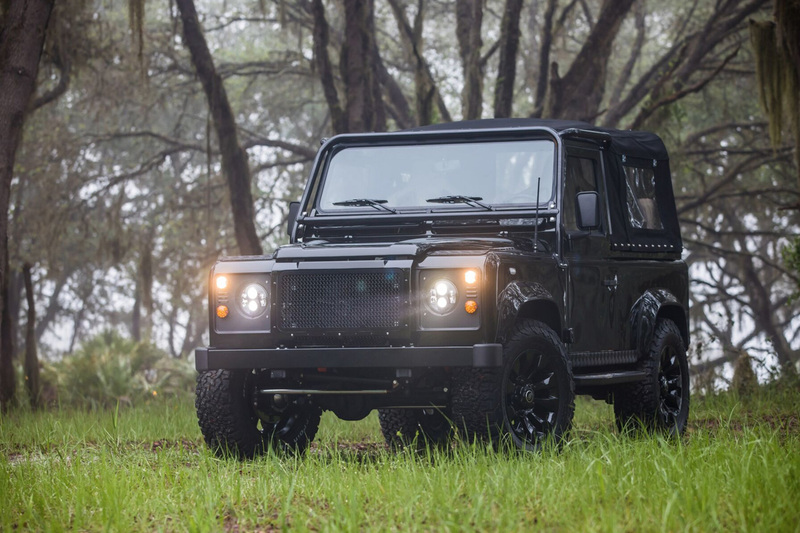 The Florida-based company has been restoring and restomodding old Landies for years now—in particular, carving out a nice niche for itself dropping LS3 smallblock V-8s usually found under the hood of Chevy Corvettes into the off-roader's boxy nose. 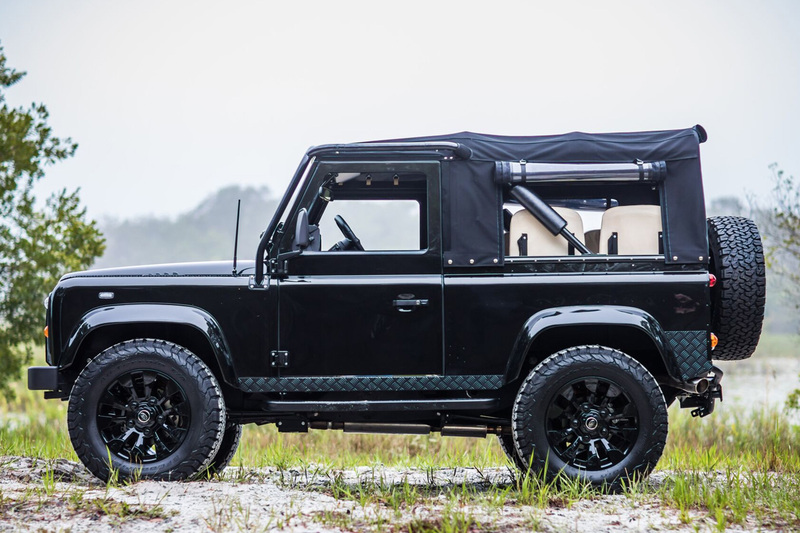 The company's latest project, however, takes things a bit further: Not only did East Coast Defender drop a Corvette engine into a Land Rover, the team also outfitted it with a manual gearbox. The build is named 'Project Honey Badger,' presumably after the six-year-old Internet meme and not the compact suppressed firearm designed for American special forces. 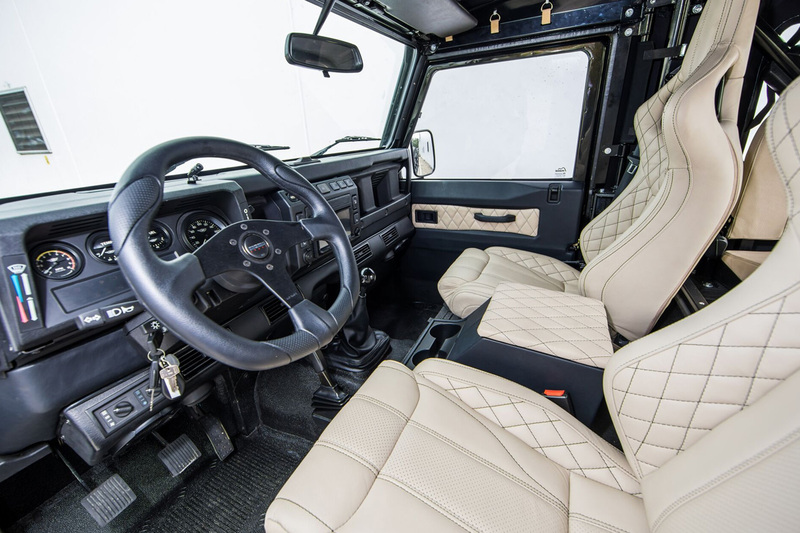 From the outside, only a true Land Rover buff would be able to distinguish this Honey Badger from any of the other Defender 90s roaming the world; apart from the LED lighting, the only thing that stands out is how new the vehicle looks in spite of its classic status. Inside, however, it's a different story. 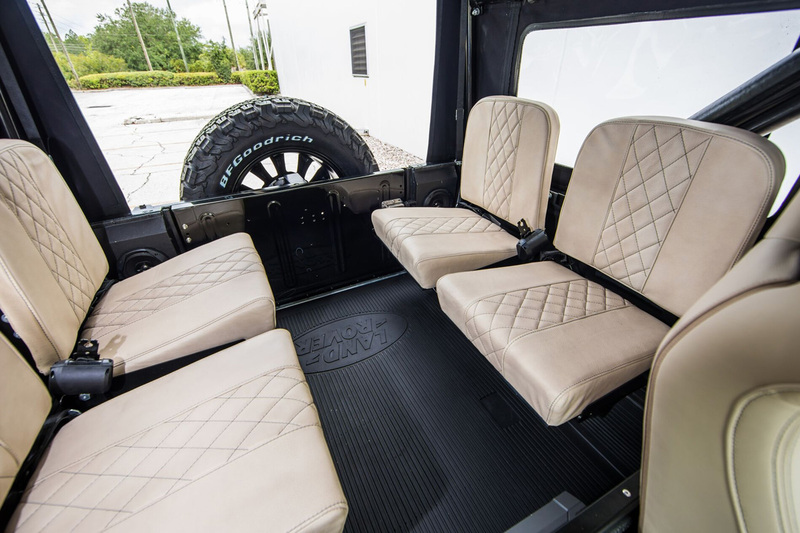 The guts of this rock crawler are upholstered in white leather, with a pair of heated racing seats up front and a set of cowhide-wrapped jump seats astern. But the real story lies between those jump seats, mounted next to the four-wheel-drive selector lever: the long shifter for the Tremec T-56 six-speed manual gearbox. The stick shift is in charge of directing the power from the 430-horsepower 6.2-liter V-8—still wearing Corvette logos—to the Land Rover's wheels. According to East Coast Defender, that's enough power to send this brute from 0 to 60 miles per hour in less than six seconds. More importantly, however, it sounds friggin' heavenly. If you want one, however, it doesn't come cheap. According to Motor1, taking home a Defender just like Project Honey Badger will cost you around $159,000. But still: Land Rover Defender. 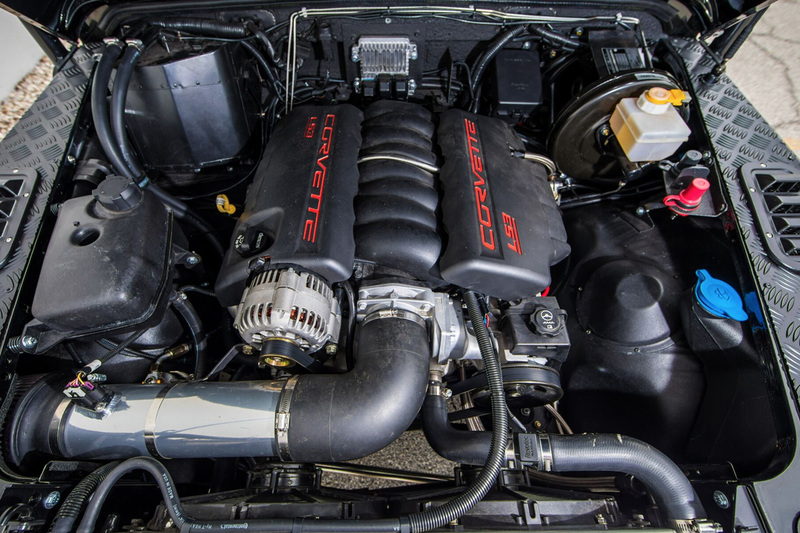 Corvette V-8. Manual transmission. This is why you don't park in the ocean. A mechanical masterpiece possessed of speed, capability, and luxury in equal measure.